You’re driving along River Road, the levee to one side as you absentmindedly view the passing landscape. But, instead of the usual empty UREC Fields, you watch as a group of people holding a stick between their legs run around throwing balls at each other. You’ve never seen something quite like it. 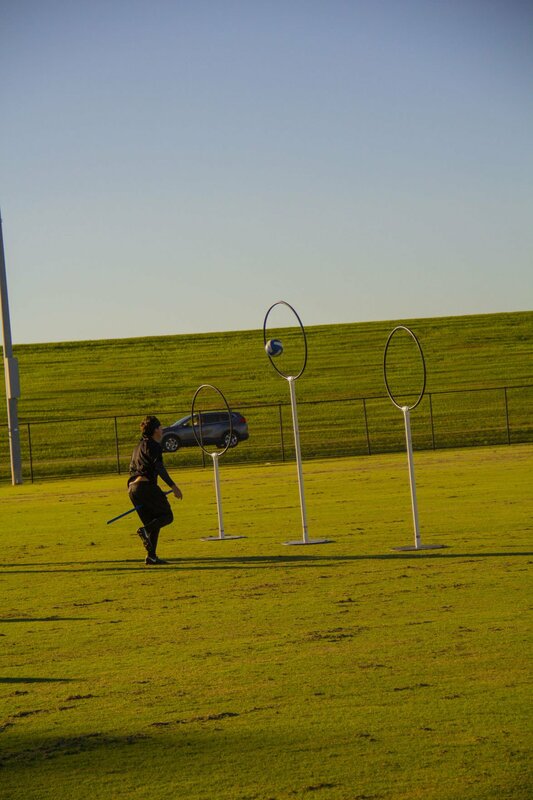 LSU is one of 109 colleges in the country that has an official Quidditch team. The University’s team was formed in 2008 — two years before the United States Quidditch Association. 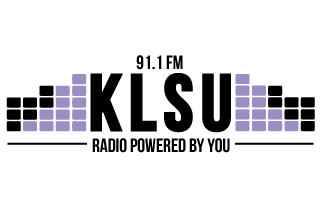 The team is considered a club by the University. Though many people are aware the sport comes from the “Harry Potter” series, they may not know all that goes into the real-life game. Quidditch club president Koty Lambert describes Quidditch as a mix of rugby, soccer, baseball and dodgeball. The game has multiple objectives, and can sometimes be confusing for viewers unfamiliar with the sport. Lambert, a mass communication senior, says his parents attended a few of his games and never quite figured out what Lambert was doing on the field. “My parents attended three games of mine, three actual tournaments, and it wasn’t until the third game where they pulled me aside and said, ‘Koty, we’re gonna be honest, we have no idea what we’re looking at,’” Lambert says. Designed for live-action play in 2005 by Middlebury College then-freshmen Xander Manshel, the game has developed immensely in the years since. As the sport grew, a national governing body — United States Quidditch (USQ) — was created and serves nearly 4,000 players on more than 150 teams throughout the United States, according to the website. Not limited to just collegiate teams, communities can also create quidditch teams. The University’s Quidditch club competes in the southwest region against teams ranging from Loyola University New Orleans to Oklahoma State University. The team’s season starts in the fall and continues into the spring semester with regionals and ends with nationals in April. Their regional games, tournaments, and nationals are all scheduled and officiated by the USQ. The game consists of two seven-player teams, holding a stick between their legs. Participants try to get a ball through the goals, take their opponents out with a ball, defend the goals, or catch the yellow-clad snitch. The game only ends when a snitch is caught. Snitches are one of the most interesting and intense aspects of the gameplay. The USQ assigns each tournament a snitch that can do anything to protect the tennis ball. Within a game, you may see a yellow-clad snitch weaving in and out of the audience, pushing and punching their seeker, and even climbing buildings to evade the seeker from each team. 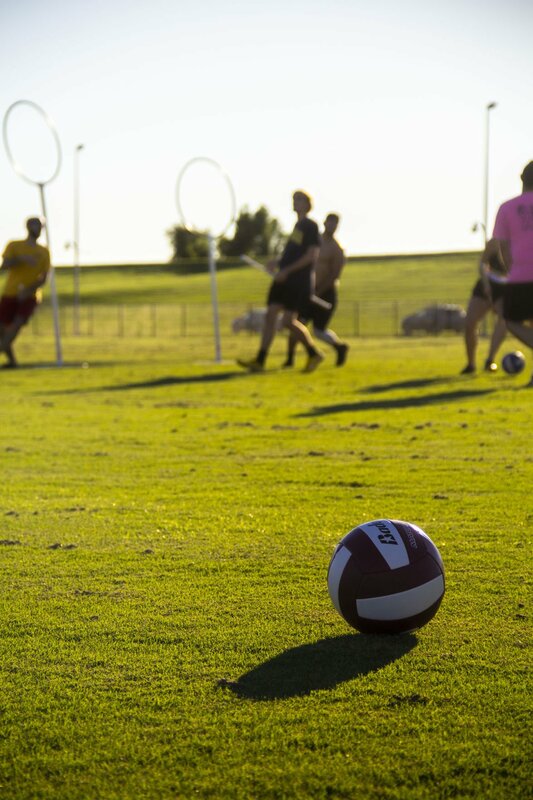 LSU’s Quidditch club is a place for “Harry Potter” fans to immerse themselves in their favorite wizarding world while interacting with those who enjoy the athletic concept of the sport. The team practices for two hours three times a week. In that time, they build relationships that extend off the field. Team captain Christopher Ledet isn’t a huge “Harry Potter” fan, but joined because he liked the athletic and competitive aspect of the sport, he says. To Ledet, the club is like a family who accepts everyone, even those who don’t know their patronus and wand type. Though referred to as the “try-out” season, the team doesn’t cut prospective members who want to play; rather, it’s when members promote the game and recruit new players. The Quidditch club aims to ensure students of all athletic backgrounds gain a unique and inclusive competitive experience. Even if a student is not able to a part of the team by paying the membership fee and attending games, they can still come out to practice and play for the experience. While the club includes 46 students, the team is comprised of just 25. “Quidditch is for athletes and for non-athletes,” Lambert says. “[It’s] a place to come together and make friends, and for some people to take the sports aspect of it and get really competitive and really into it,” Ledet adds. LSU Quidditch has brought together Harry Potter fans and athletes through a unique sport.